It is a surprise to no-one that indomitable teacher workloads are contributing to the current recruitment and retention crisis. What action must be taken, both on a national and individual level? For almost twenty years I have been writing about the demands of teacher workload and the devastating impact it can have on those feeling crushed under its weight. In that time, despite many calls and warnings to reduce workload from a range of organisations with an interest in education, workload has undoubtedly increased and now rests at utterly unsustainable levels. With recruitment and retention continuing to present a major challenge to our schools, unsurprisingly given that our teachers are working longer hours than almost anywhere else, it should come as no surprise that a strong contributing factor to this sorry state is teacher workload. There’s no doubt that workload can be tackled, to an extent, within the profession at school level. But that will never be sufficient. For real change, sustainable in the long term, there needs to be action on policy at government level. In recent years there has been an attempt by the Department for Education to understand the workload issues facing teachers. encouraged and empowered classroom teachers and school leaders to challenge unproductive practice, and take responsibility for focusing ruthlessly on those things that truly make a difference to the education of children in this country. 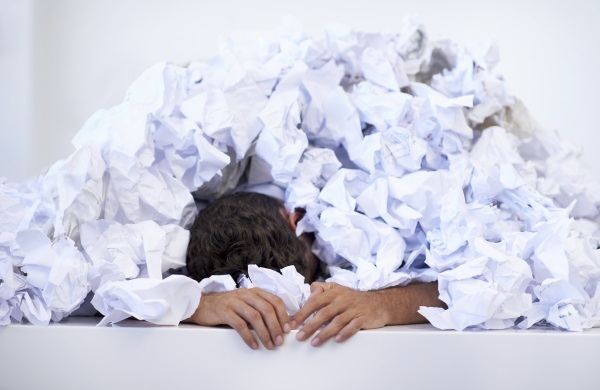 While shifts in policy and the expectations that others have of teachers happen in the background, as they must, are there any realistically achievable tips for tackling workload on an individual basis? Say no. Or, if that seems too confrontational, say yes, but with provisos. If you take something on, something else on your work to do list has to be dropped. Adding to your workload is not on. Shifting priorities might work better. When workload is crushing, it’s easy to get overwhelmed, but staying organised can help to guard against that. Keep up to date on organisation and the rest should flow more easily. Be clear about not allowing work to bleed too heavily into your non-work time. I’m not a fan of the phrase ‘work/life balance’ – we are surely living when we are working. But the key is balance. We’re all flexible enough to know that there are demanding times during each term, but if there is no let up, individuals suffer. Prioritise what will help to improve teaching and learning. It is ridiculous that teachers no longer have time for CPD when that is what could bring about real change. Develop a school-wide policy on emails. Drop all expectations of an instant response to electronic communication. Share ideas for workload reduction with colleagues. You know what’s achievable in the context in which you work. Collaborate with colleagues to raise the profile of, and commitment to, workload reduction in your school. Ask your MP to campaign for workload reduction in schools. Keep the issue in the spotlight. While there are many actions that we can take as individuals (teachers and school leaders) and as schools to tackle excessive teacher workload, these actions are likely to be limited in their effect without a substantial commitment to policy change at government level. Without this kind of action, teachers will continue to suffer unacceptably high levels of negative stress at enormous cost. There are no winners in this scenario. No, we don't mean the jazz piece, but something just as good! If you're looking to make your work life more organised and hassle-free, then take five minutes to download Take Time, a free toolkit of activities for managing time created by Anita Devi. It's completely free, and will help you keep on top of your workload!